If Aussie rockers AC/DC are to be believed, rock and roll ain’t noise pollution – but it’s pretty bad for your ears. 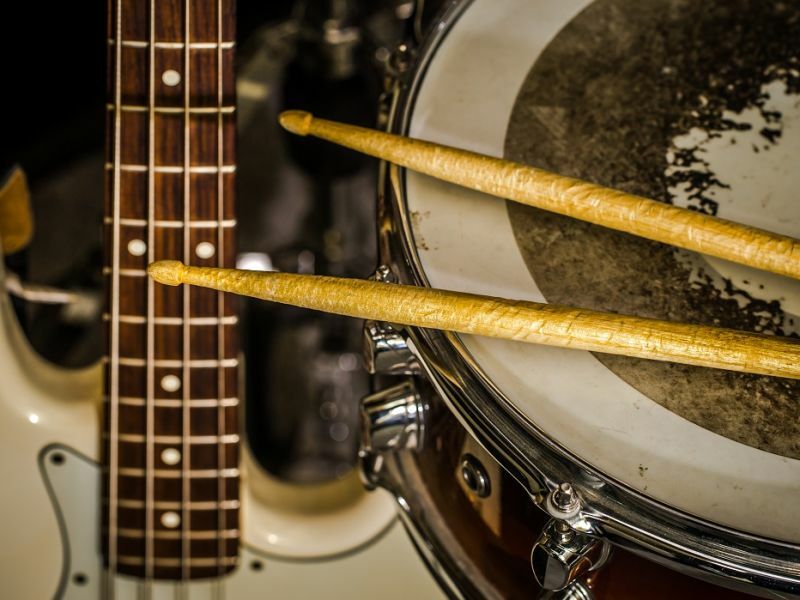 From rock concerts to pneumatic drills and even classical wind instruments, exposure to very loud noises for long periods can cause temporary or even permanent damage to your hearing, and musicians are often the hardest hit. We all know that volume is part of the fun, but it’s a sobering fact that 700 million people worldwide are living with hearing loss, and noise-induced hearing loss is the second biggest cause. Unsurprisingly, over 50% of musicians experience some degree of hearing loss due to exposure to loud music. Neil Young, Chris Martin, Brian Wilson, Phil Collins, and Pete Townshend (to name just a few) are all reported to suffer from noise-induced hearing conditions. Classical musicians don’t fare any better: 15% of classical musicians suffer from permanent tinnitus. Unfortunately, once your hearing is damaged, it’s damaged for good. Noise-induced hearing loss is caused by pressure waves (sound waves) damaging the small hair cells in our ears. These hair cells translate pressure waves into signals our brains understand as sound, so when these hairs are damaged our hearing is damaged too. As a musician, you might know that volume is measured in decibel sound pressure level (dBSPL). 0 dBSPL is silence, 40-60 dBSPL is normal conversation, and 85 dBSPL – roughly the sound level generated by heavy traffic on a busy road – is the level at which hearing damage can occur if exposed to over long periods of time. If you’re a gigging musician, consider buying a decibel meter to help keep your performances to a safe volume. There are several types of hearing problems that can develop due to noise exposure, such as tinnitus, but other common forms of hearing loss, such as high frequency hearing loss, impair your ability to hear higher frequency sounds. There is no medical cure for high frequency hearing loss, but a hearing aid will make a big difference. Our experienced audiologists here at Leightons will give you the guidance you need to find the right hearing aid. As the saying goes, prevention is better than cure. To help keep volume levels to an acceptable level, many musicians use in-ear monitors – pro-audio equipment that helps regulate the sound levels they are exposed to while performing or recording music. Custom moulded in-ear monitors, like ACS In-Ear Monitors are used by many top musicians, DJs and music lovers alike. These bespoke in-ear monitors are supremely comfortable and deliver incredible sound quality while also reducing ambient noise levels by up to 35 decibels. This means you can keep the volume down yet still hear every kick-drum pattern or flute trill in perfect fidelity. ACS also produce a range of ear plugs for music, the ACS Ear Protection range, which do a fine job of protecting your musician’s ears from further damage. But they’re not any old building site ear defenders – they have a few tricks up their sleeve. ACS ear plugs feature specialist filters that soften certain sounds without ruining the music. These are true professional musician’s ear plugs that reduce the volume while maintaining the natural tone and feel of the music. If you have any concerns about your hearing, our experienced audiologists are here to help deliver the best ear care for you. Book an appointment online or call us on 0800 40 20 20 and speak to one of our hearing care experts.